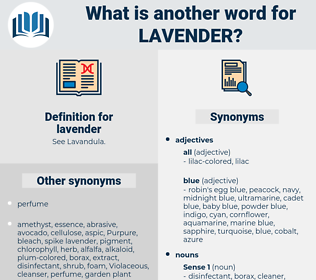 What is another word for lavender? Yes, the nun answered, she asked for a shawl you admired - the one with a touch of lavender.
" I don't wish you to waste your time," said Mr Lavender. law offender, levanter, law of nature, love-in-winter. 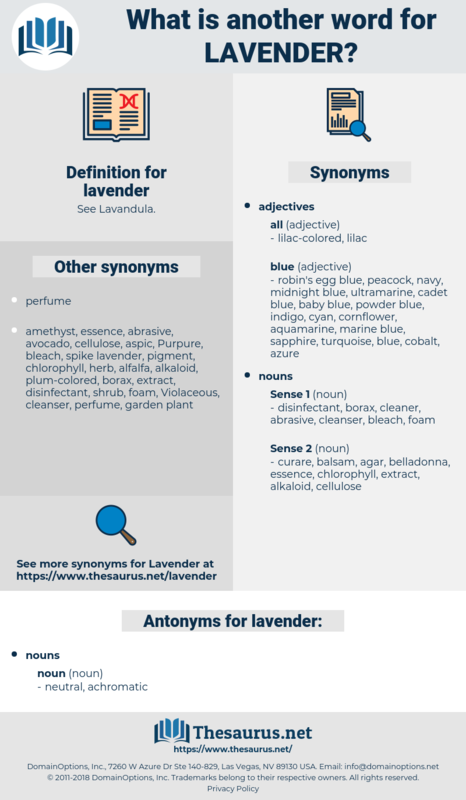 Lavandula Stoechas, Lavandula Angustifolia, Lavandula Latifolia, English Lavender, Lavandula Officinalis, French Lavender, spike lavender.